Have lots of photos taken with your young lady or young man and want to show them to your family and friends on your wedding ceremony? Wanna burn your wedding photos to DVD discs to keep them forever or share them with your family and friends? Wedding Slideshow Studio comes to rescue. 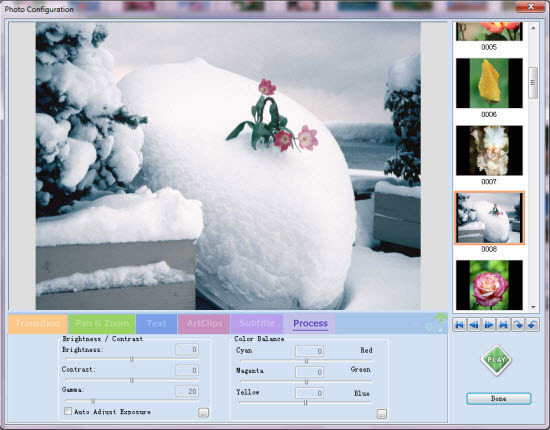 This Wedding Slideshow Software can help you burn wedding photos to a DVD disc and convert photo albums to video or DVD slideshow for playback on a PC or a DVD player during your wedding ceremony. The steps are as easy as 1, 2, 3. 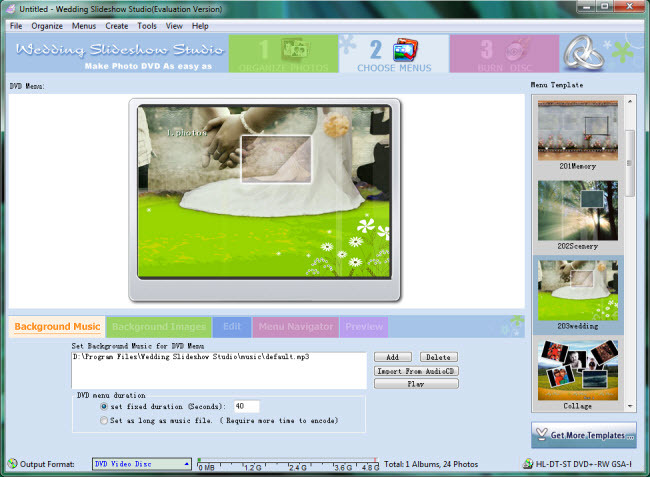 Click the "CHOOSE MENUS" tab on the interface of Wedding Slideshow Maker to choose a DVD menu template for your wedding photo slideshow DVD. You can also specify the background music and background image, set font style, size, color, etc. to customize the menu template. 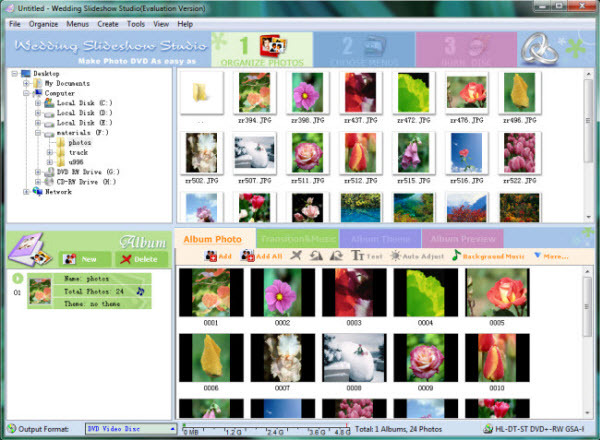 After making all necessary settings, click the "Burn Disc" tab to start burning photos to DVD. Insert a blank DVD into your disc drive. Extend the "Output Format:" menu, choose "DVD Video Disc" and click the "Burn Now!" button to start the DVD burning process. If you just want to convert the wedding photos to video slideshow, choose the video format you need from the format list.